Actor Tom Chambers won Strictly Come Dancing in 2008 and is currently appearing in the musical Top Hat at the Aldwych Theatre in London's West End. He is returning to the show in this year's Christmas Special which is to be broadcast on BBC1 at 6:15 pm on Christmas Day. 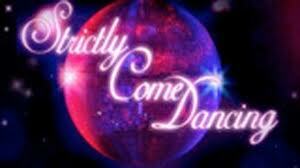 They will perform routines with professional dancers in the hope of being crowned Christmas champion. Past favourites including Ann Widdecombe and Russell Grant will also make an appearance on the dance floor and Rod Stewart will be providing the festive cheer as he performs Let it Snow!